Girihadu Seya which translates as ‘ stupa on the top of the rocks' holds the honour of being the oldest Buddhist temple and the first Stupa built not only in the country but also in the whole world. The temple is set upon a stage like location covered by the carpet of greenery. One has to climb 300 steps to reach the top. 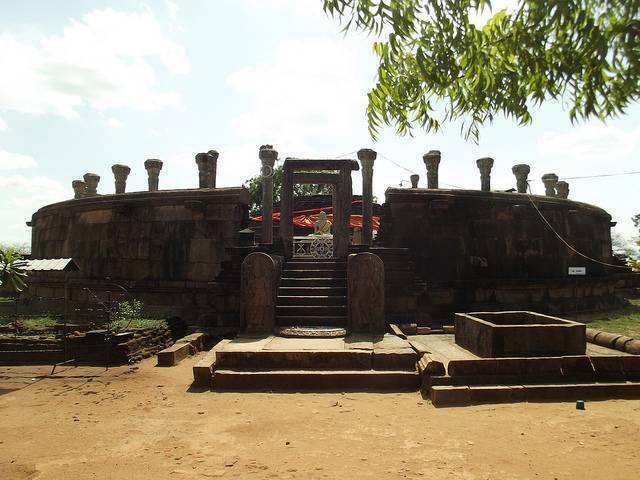 The ancient temple was ruined by the LTTE group but the main stupa remains unharmed in all its glory. The temple lays close to the Trincomalee-Pulmudai road and to the Thiriyai village. The temple has tread the timeline of 2500 years. It was built by the merchant brothers, Thapassue and Balluka 75 days after Lord Buddha gained Enlightenment. Legend has it that the brothers offered alms to Buddha and on their request, Buddha blessed them with a lock of hair which was kept in a bowl on a mountain named Girikanda but was later struck to it. To enshrine this relic, a stupa was built over it. Today you will find statues of Buddha and a Bo tree.